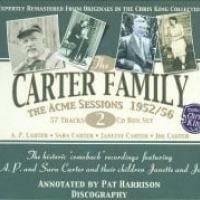 British label JSP offers another of their fine budget collections on The Carter Family, Vol. 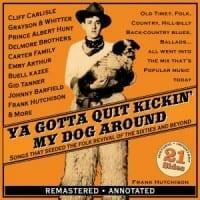 2: 1935-1941. 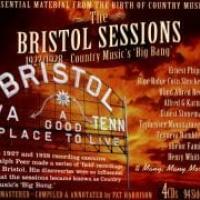 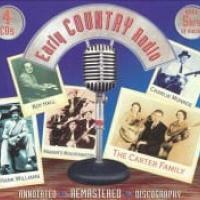 On 129 songs collected on five CDs, this second volume in the series gives a complete overview of the first family of country music's later years. 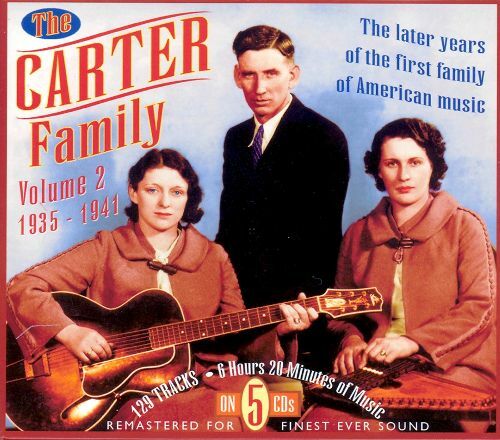 Legendary songs like "Can the Circle Be Unbroken," "Keep on the Sunny Side," "No Depression," "Single Girl, Married Girl," and "I'm Thinking Tonight of My Blue Eyes" are all represented, and the sound quality is slightly more even than on the first JSP box, The Carter Family: 1927-1934. 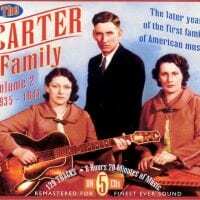 Essentially, anyone who can pull together the 60 dollars or so that it would take to own both sets will have not only virtually every Carter Family studio recording, but also a valuable archive of the roots of American music.